It’s hard to believe that Thanksgiving is next week! I can’t believe it’s already November, let alone the second half of the month. (Even more so because I’m out of the country and not in my usual environment!) 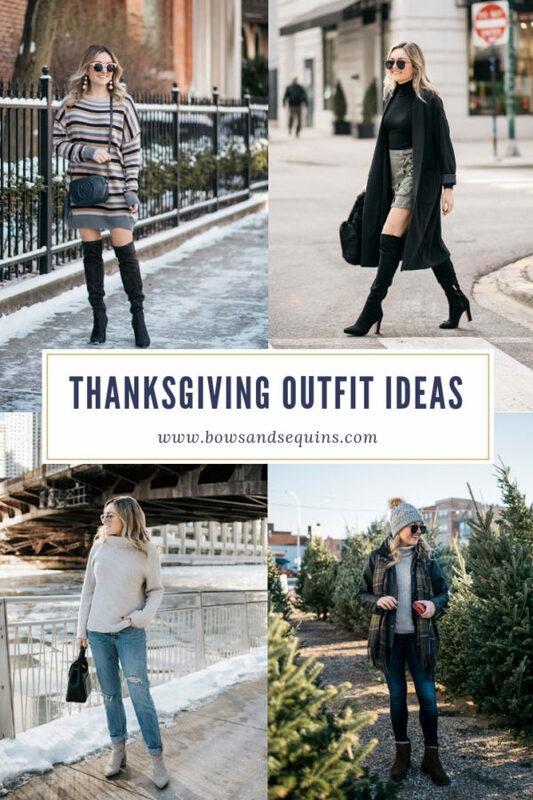 I rounded up over 20 of my favorite fall outfits that would be great for all sorts of Thanksgiving festivities — meeting your boyfriend’s parents, a fancy feast, a casual get-together with your extended family, dinner with your in-laws, turkey trots, or even a super casual afternoon watching TV with loved ones. 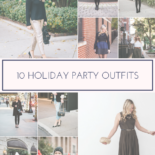 There’s an outfit here for every occasion! Quite possibly my favorite outfit ever on the blog! Sophisticated, but with lots of personality. Tuck a turtleneck into a skirt and pair it with over the knee boots and a duster coat for an instant dose of chic. See the full outfit post here! 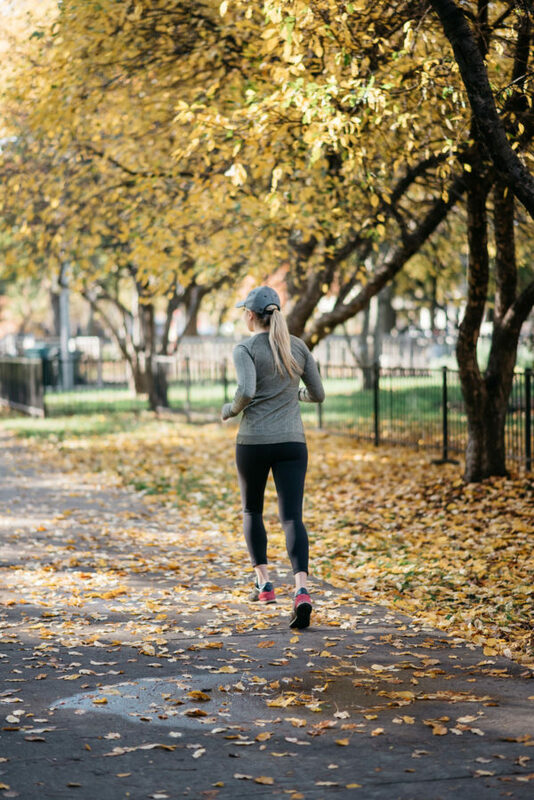 Props to you if you’re starting the day with a Turkey Trot! See the full outfit post here. 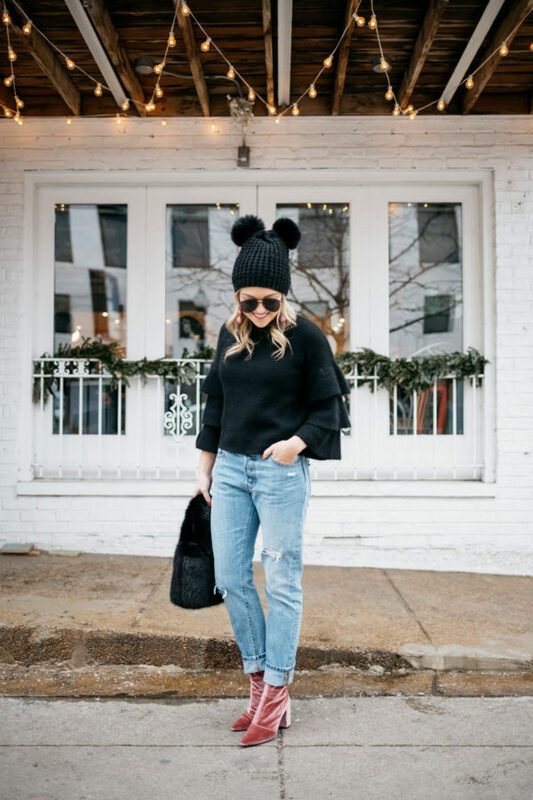 A black sweater, boyfriend jeans, and fun velvet booties always look elevated while staying comfortable! Toss a faux fur coat on the top for an extra dose of glam. See the full outfit post here! What’s more comfortable than an oversized sweater dress?! Pair it with over the knee boots for a look that’s a bit more fashion-forward. See the full outfit post here! I love how this outfit is sort of monochromatic with the gray sweater, gray booties, and light wash boyfriend jeans. You could swap the booties for sneakers for something a little more low key. See the full outfit post here! 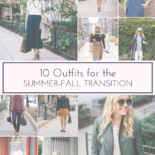 This is an outfit I always find myself repeating in the fall! Tuck a sweater into a pleated skirt and top it off with a belt for some style interest. See the full outfit post here! A fun hat is a great way to spice up a casual outfit and add some extra warmth, too. See the full outfit post here! 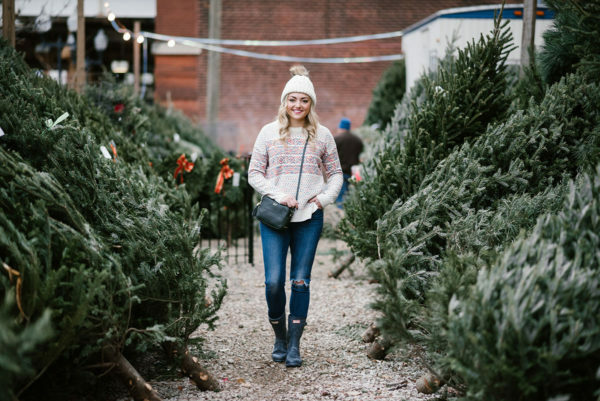 One of my favorite fall outfits ever on the blog! 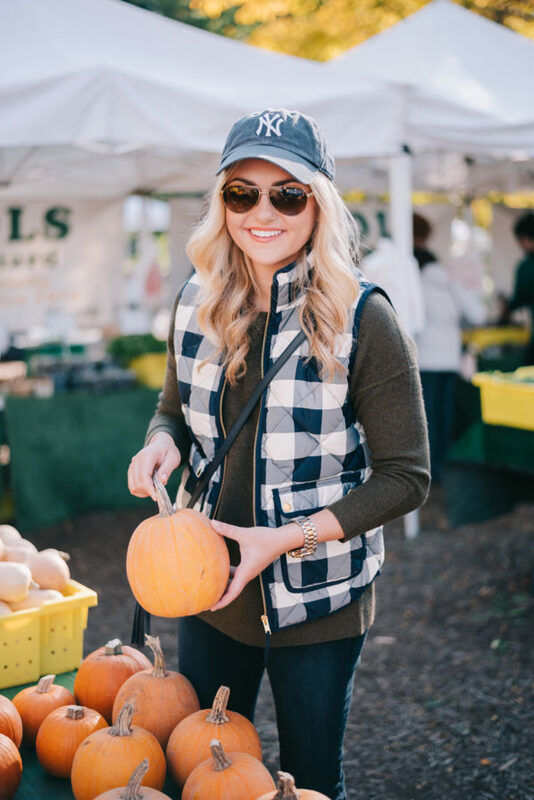 A quilted vest over a sweater never goes out of style. See the full outfit post here! It’s no secret I’m a fan of dark neutrals all winter long! A statement belt with a mostly black outfit always looks chic. See the full outfit post here! 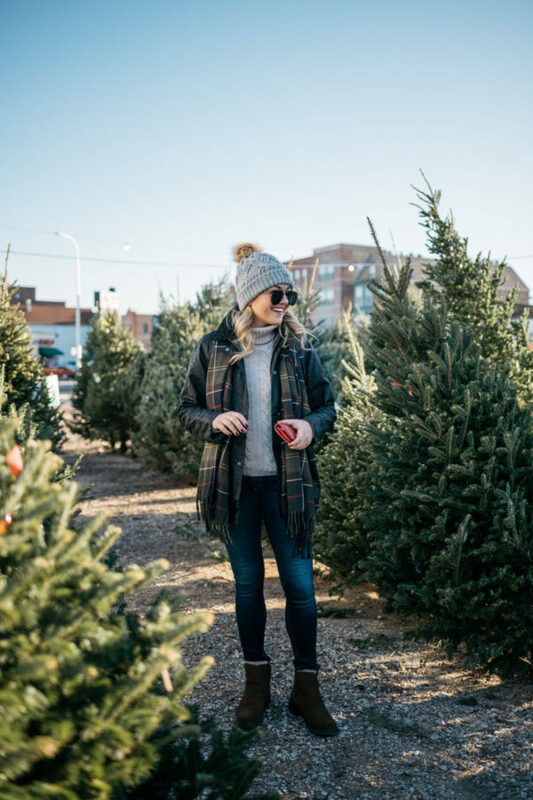 Going to pick out your Christmas tree after Thanksgiving? 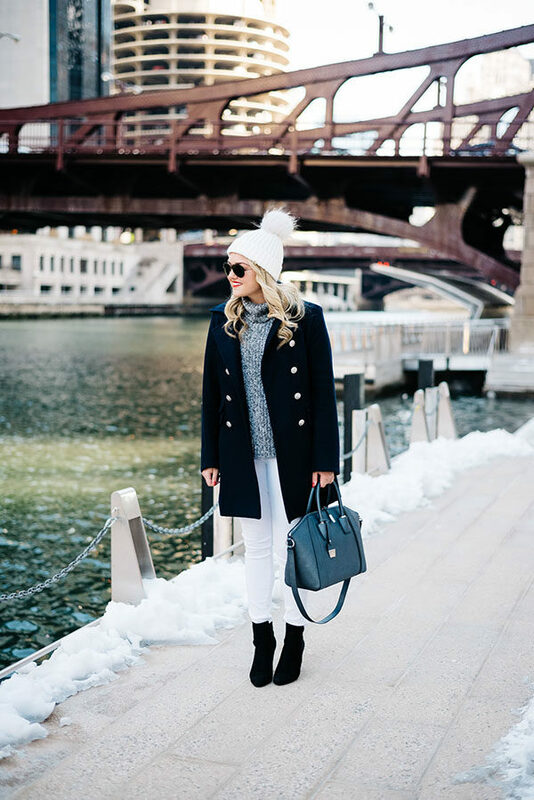 Check out this post featuring some favorite boots and cold-weather accessories. I call this my uniform all fall and winter long! Boyfriend jeans, booties, a simple top, and a statement coat. See the full outfit post here! If you’re feeling a little fancier for feasting, this ruffled-sleeve sweater with a suede skirt and OTK boots will do the trick. See the full outfit post here! Keep it cas’ with light wash jeans, leather slides, and a turtleneck. 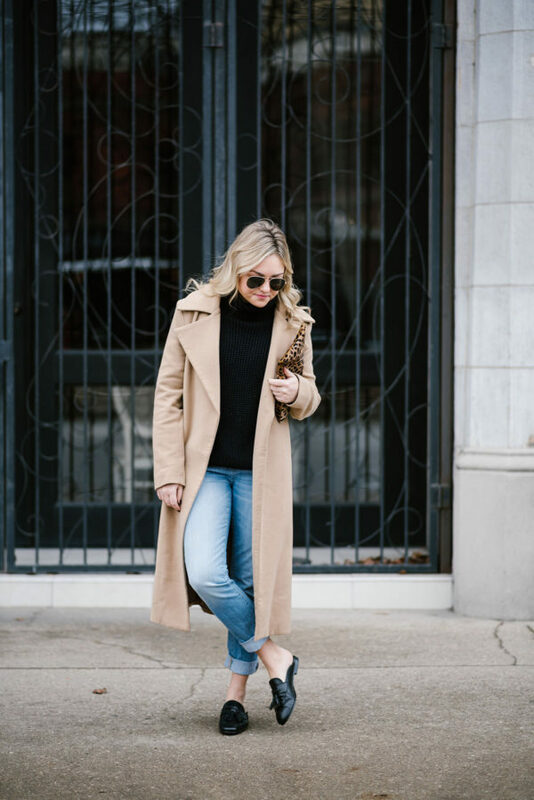 Toss on a long camel coat for a little something extra! See the full outfit post here. A fun, patterned sweater takes a simple sweater and jeans look up a notch! See the full outfit post here. 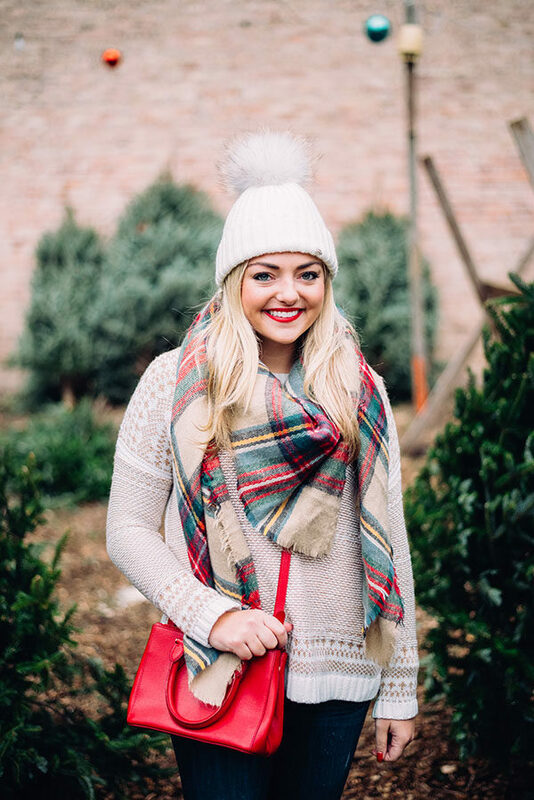 A plaid blanket scarf makes any outfit a little extra festive! See the full outfit post here. Can’t go wrong with festive plaid and a sparkly tweed skirt! Add over the knee boots for a little extra personality. See the full outfit post here! Ain’t no shame in keeping it super casual on Thanksgiving! Here, I paired ripped jeans with some cool black sneakers and called it a day. See the full outfit post here! 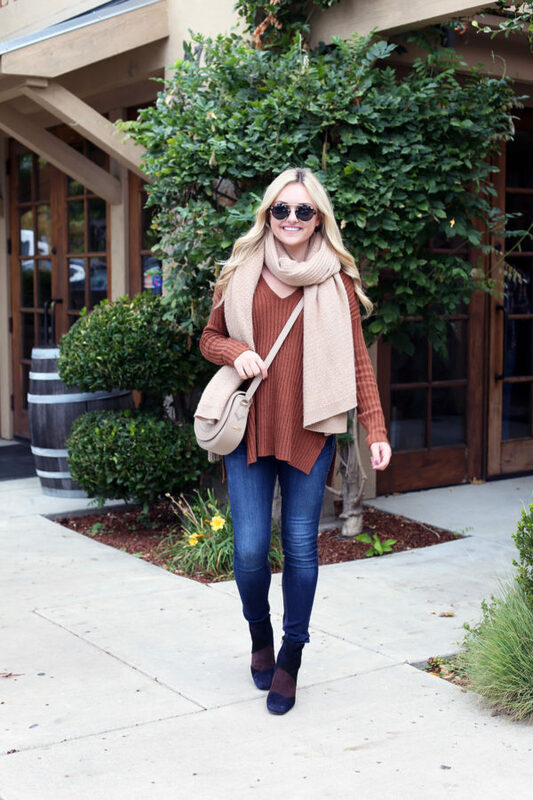 I wore this outfit in Napa two falls ago and it would be perfect to repeat for Thanksgiving! A slouchy sweater allows for maximum consumption.  The oversized scarf and patterned booties ad a fun touch! See the full outfit post here. Wearing a skirt with a sweater is one of my favorite fall looks! Here, I paired an chunky knit sweater with a suede skirt and simple pointed-toe ballet flats. See the full outfit post here! 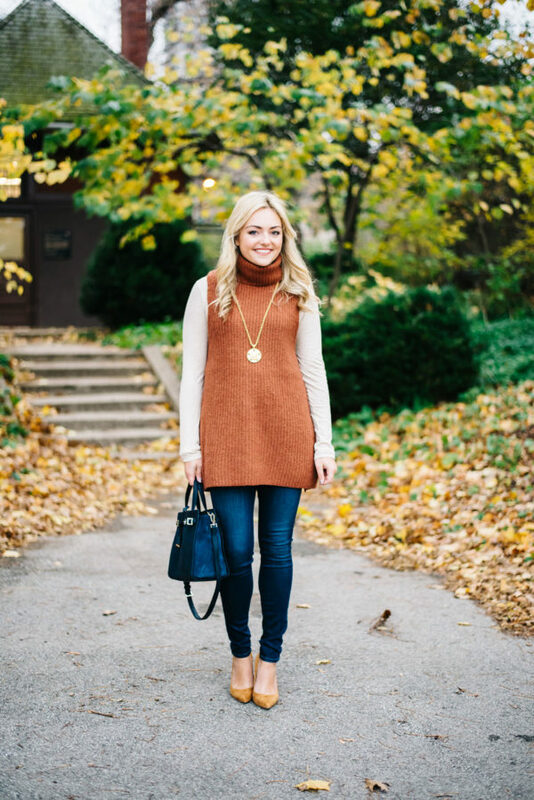 You can’t go wrong with a simple tunic sweater with skinny jeans and pointed-toe heels! I bought this sleeveless option a few years ago and I love it layered with a thin turtleneck underneath. See the full outfit post here! Keep cozy in a fairisle sweater with ripped jeans! See the full outfit post here. White jeans are still okay to wear! Root them with dark neutrals for an unexpected look. See the full outfit here!